It comes as no surprise that the marijuana industry is expected to grow ten-fold over the course of the next decade. Not only is legalization making headway across the nation, but more and more people are opening up to cannabis’s possibilities rather than stigmatizing it. 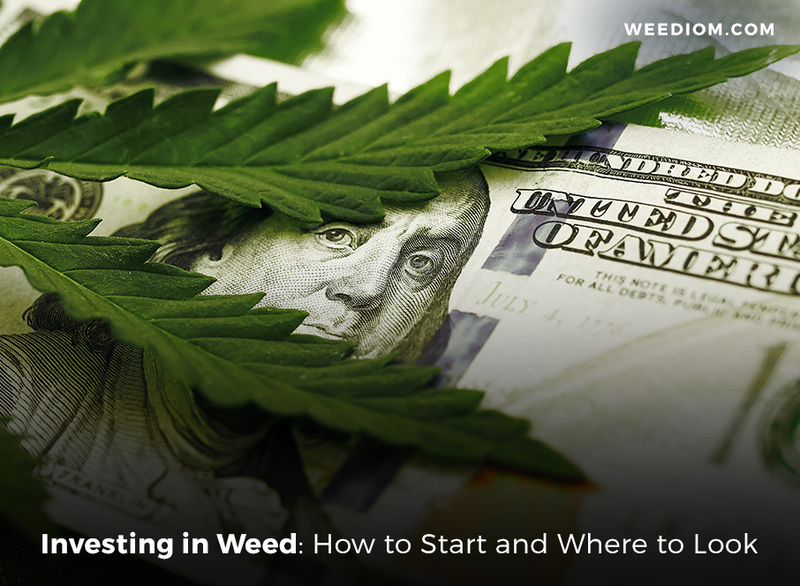 Whether you’re a weed connoisseur or not, it might be worth your while to seek out an investment. In fact, there are already predictions surfacing that the market is expected to rise 230% by 2022. Are you new to cannabis and don’t know a thing about the market? Are you confused as to where to place your money and what stocks to keep an eye on? This article seeks to teach you everything you need to know about investing in marijuana stocks. Cannabis Growers – As the name states, these are the companies that cultivate the product we’re placing stocks on. An example of a company is Canopy Growth. Cannabis-focused Biotech – You can look at these companies as the pharmaceuticals of cannabis whose main purpose is to provide drugs to those in need of the plant. An example of a company is GW Pharmaceuticals. Providers of ancillary products and services – These are companies who provide the necessary products to the cannabis industry to make it work. These include packaging solutions, hydroponics, lighting systems, and even managed services. An example of a company is Scott’s Miracle-Gro. Before we continue, it’s important to note that there is some legal risk in investing in marijuana. Primarily because it remains a Schedule I substance in accordance with federal law. With that in mind, there’s no telling how the future of the marijuana industry will continue. At any moment, the federal government has the right to step in and shut all operations down. Furthermore, the predictions made above lean heavily onto politics. If the state’s don’t continue to legalize cannabis, then those predictions are false. Obviously, this might seem ridiculous as each year, more and more states are legalizing the plant for both recreational and medical use. Still, it’s something to keep in mind when investing in this market. But besides legal trouble, we must remember that marijuana is a product the market has not seen before. There is the suspicion that a big supply gut will inevitably hit the country in which more marijuana is produced than is demanded by the market. With that, prices will shrink indefinitely. A big gain for the connoisseur, but a big loss for the investor. Some people don’t understand the stock market in general. They assume investing in marijuana is something that can get them rich quick. However, you should look at a marijuana stock as you would any other stock. Just like any other business, a cannabis company holds the potential to go up and down – to become a huge success or go bankrupt. A business might not yet be making a huge profit. This doesn’t mean it’s not worth investing. To get a sense of where the business and the stock is going, look at the company’s cash position. If they’re relying on the stock market, then he shares you put in are bound to decline. It might also be advantageous to look into international marijuana markets. In our case, this would be Canada’s. As mentioned, there’s the potential for a supply gut which would bring down the market. So, with this knowledge, the question becomes – what companies are showing great potential? Canopy Growth Corporation The reason Canopy Growth is the first mentioned is due to the fact that it’s the largest medical cannabis company in the world. As of this point, their market cap is $5.8 billion. Aurora Cannabis Following Canopy Growth is Aurora with a market cap of $2.9 billion. Sources have claimed it’s one of the fastest growing companies on the market. Located in Canada, the company runs eight different production facilities, five sale licenses and operates in 18 countries. Tilray Third on our list is Tilray with a market cap of $2.3 billion. The official website claims the company to be “one of the largest and most sophisticated producers of premium medical cannabis in the world.” And for good reason. Tilray has seen a huge jump in the market right alongside Aurora. Aphria Fourth on our list is Aphria with a market cap of $1.9 billion. Alongside Aurora and Tilray, Aphria is a company many investors have had their eyes on. They work out of Canada and are responsible for some of the leading medical cannabis. MedMen Enterprises Fifth on our list is MedMen Enterprises with a market cap of $1.3 billion. They are one of the leading legal cannabis industries – owning and operating over 19 facilities throughout Arizona, California, Florida, Nevada, and New York. They have further plans to expand into Canada. Cronos Group The sixth on our list is Cronos Group with a market cap of $1 billion. The company has a mission of building an industry that not only helps medical patients but also transforms people’s perceptions of cannabis. The Green Organic Dutchman The seventh and last billion dollar cannabis company is the Green Organic Dutchman (also known as TGOD) with a market cap of $1 billion. The company is a premium certified organic cannabis grower whose goal is to harvest the cleanest and most sustainable marijuana. Investing isn’t easy. Many people will claim it feels very much like a gamble. Especially when discussing a new market such as cannabis. However, there will remain those who see the great opportunity in this new market. And the amount of growth which can be expected to come. We at Weediom wish you all the best of luck with your investments. And we hope you will find your slice of heaven in this market just as stoners are off of legally getting high.